Amiga 4000 with 3rd party CD-ROM drive added. The mighty Amiga 4000 was released in October 1992 as the Amiga 4000/040, with the Motorola 68040 CPU running at 25MHz. 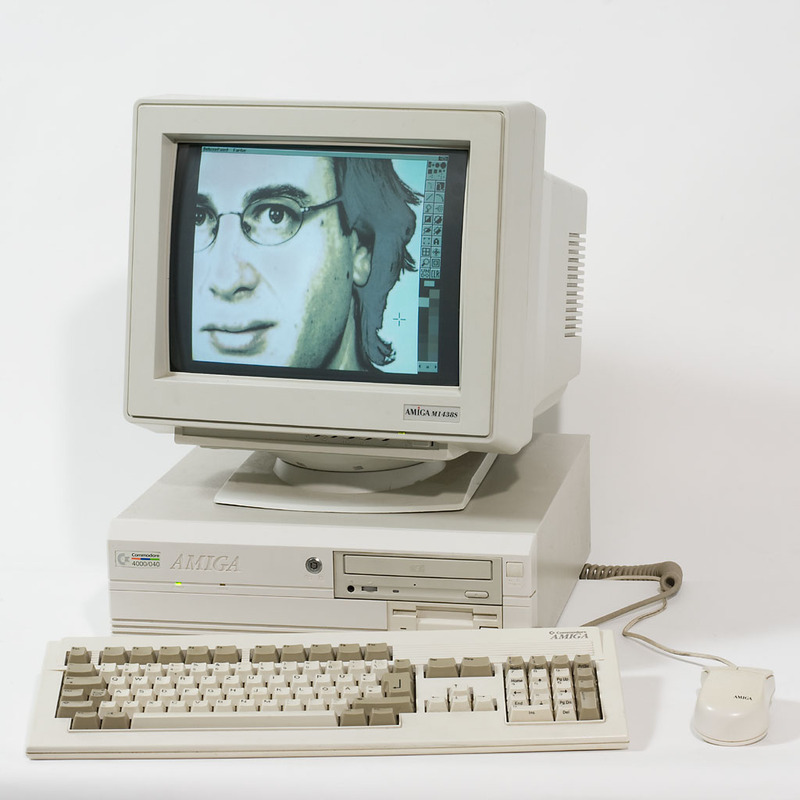 It was also the first machine to be released with the new AGA Chipset, which enabled the Amiga 4000 to display up to 256 colours on screen without using any of the Amigas special graphical tricks. It was also largely software compatible with the previous Amiga OCS and ECS chipsets. The AGA chipset contained all the features of the ECS Chipset, but also allowed many more colours in all resolutions (256 colours in all resolutions, unlike the 4 colour maximum in resolutions above 768 horizontal pixels), and added the HAM8 graphics mode, which could display practically unlimited colours with some restrictions. There is more information regarding AGA on this page of The Amiga Museum. The 4000/040 made use of the A3640 CPU board, which was originally designed for the Amiga 3000 and shipped in the Amiga 3000T. This board was less than ideal, but the raw processing power it offered was still reasonably good, particularly when compared to an Amiga 2000 or Amiga 3000. Later in April 1993 the Amiga 4000/030 was released, which was less expansive than the 4000/040 as it used the much cheaper Motorola 68ec030, also running at 25MHz, which due to being a generation behind the 68040, was only about half the speed of the 68040 in the 4000/040. The only difference between these 4000/030s and the 4000/040 was the badge on the case, and the CPU card being the A3630 instead of the A3640. Later (when? I have been unable to find this information), the Amiga 4000 was redesigned to make it less expensive to produce, these are usually referred to as the Amiga 4000cr (cost reduced). The mainboard was redesigned, and instead of the A3630 CPU board, the main 68030 CPU was directly soldered to the main board in the case of the Amiga 4000/030. In the case of the Amiga 4000/040, the 68030 CPU wasn’t installed, and the same A3640 CPU board was installed instead. Total RAM: 2MB Chip RAM, between 4MB and 16MB Fast RAM, so between 6MB and 18MB total RAM. Able to be expanded to much more with RAM located on Zorro 2, Zorro 3 and/or CPU expansion boards, with up to 1024MB able to be added via Zorro 3 expansion.